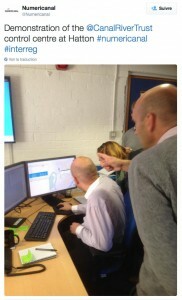 Waterway managers from throughout Europe travelled across the English Channel a few weeks ago for a special visit to see cutting edge technology in action on the UK’s canals. The guests joined the Canal & River Trust – the charity that takes care of 3200 km of waterways across England and Wales – for two days. The visit included a trip to see the project that will allow remote operation of a bridge on the Gloucester & Sharpness Canal. Another visit was made to the Grand Union Canal at Hatton to see the new waterway control centre, which houses technology to help manage the Trust’s fleet of workboats and vehicles, issue work notices and schedules to staff and monitor incidents and emergencies. Delegates included waterway managers, technicians and experts from the Netherlands, France and Belgium. They were brought together through the EU-funded Numericanal project, which looks at best practice across Europe of using technology to better run the waterways. 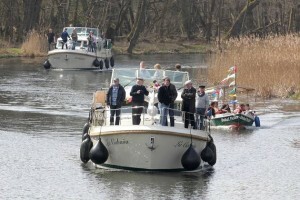 Representatives from Scottish Canals and the pan-European boating group The Barge Association (DBA) were also present. 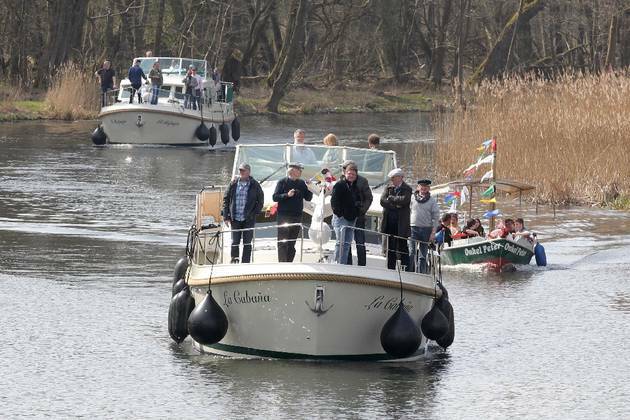 ‘Numericanal’ is a €3.3 million project funded by Interreg NWE, that aims to use technology to enable more efficient management of inland waterways.